Just because Valentine’s Day has come and gone doesn’t mean you can’t still indulge in strawberries, champagne and sprinkles. In fact, today’s cocktail recipe perfectly blends all three of those elements into one recipe. This sweet sip has is one of my favorite new drinks, and it’s quite simple to make. 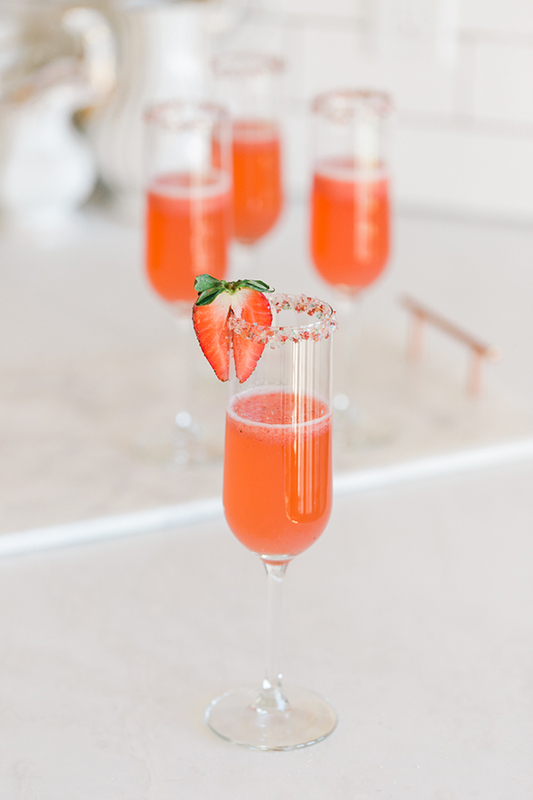 It has the bubbles from the rosé brut, the sweetness from the puréed strawberries, and a festive touch from the sprinkled rim. 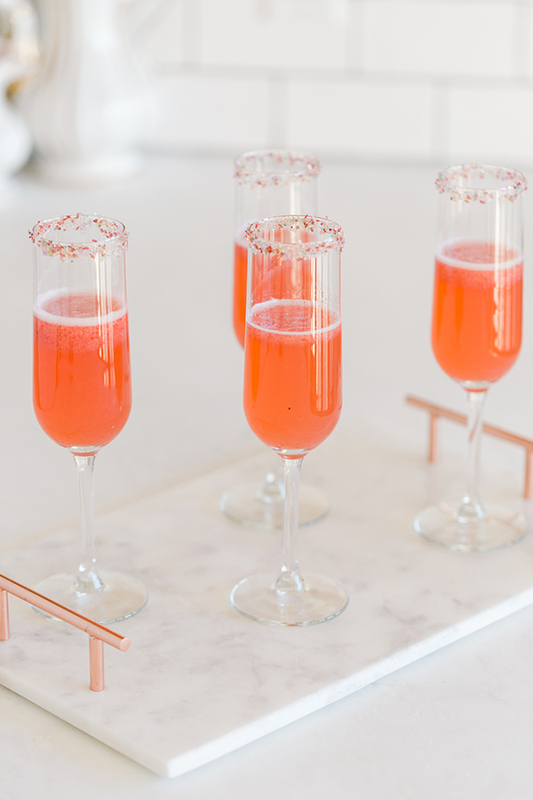 Whip up this bubbly concoction with friends before your next GNO or for your better half before a romantic dinner for two…. Rinse 1 cup of whole strawberries with water and pat dry with a paper towel. Cut off all of the stems and place in a food processor. Blend in a food processor until smooth and puréed. In the meantime, take your champagne glasses and lightly wet the rims with a wet paper towel. Pour your sprinkles onto a plate and twist the rim of the champagne glass into the sprinkles, so that they stick to the rim. Pour your rosé into each glass, about 1/3 of the way full. Then, carefully spoon some strawberry purée into each glass and stir. Optional: Place a sliced strawberry on the rim of the glass for an extra special touch. Enjoy! These cocktails not only make for gorgeous presentation, they also taste wonderful too. 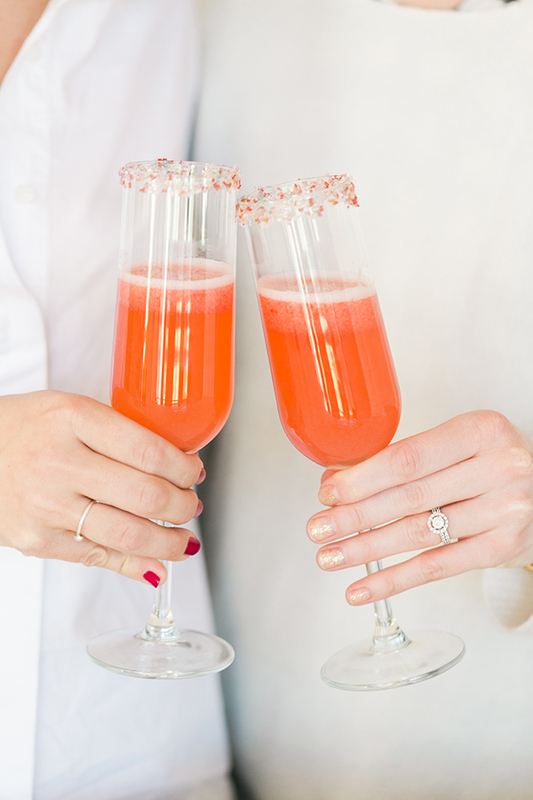 There’s really no better flavor combination than strawberries and champagne. Will you give these rosé cocktails a try? Let me know in the comments below, and be sure to share any tips you discover if you make them yourself.